The Big Ten and Pac-12 guarantee four-year scholarships, but NCAA rules already limit the conditions on how athletes can lose their grants-in-aid. 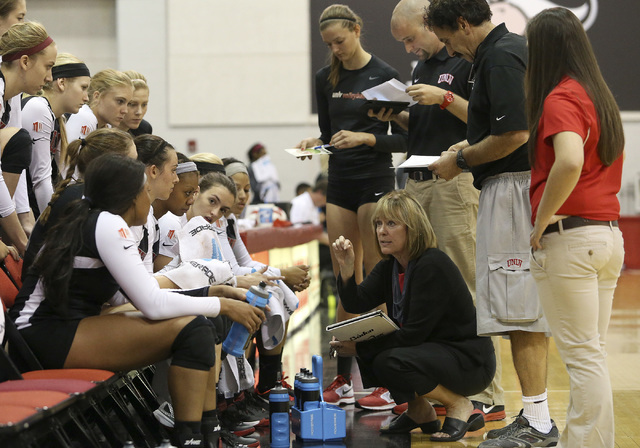 At UNLV, every effort is made to see that athletes stay their entire four years. Two major conferences — the Big Ten and then the Pac-12 — made news in October 2014 when they announced they would guarantee four-year scholarships to their athletes. It got attention around the country and put pressure on other leagues, including the Mountain West, to do the same. 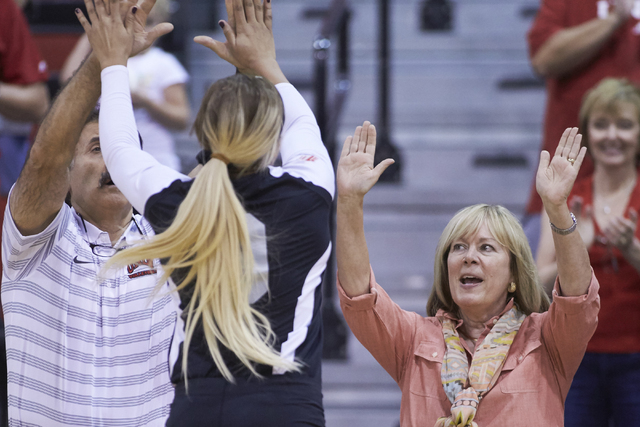 But as UNLV volleyball coach Cindy Fredrick pointed out, the actions by the Big Ten and Pac-12 were irrelevant. Fredrick was correct. NCAA bylaws state that though scholarships are renewable on an annual basis, no grant-in-aid may be cut or reduced based on performance, health or other athletics-related reason. 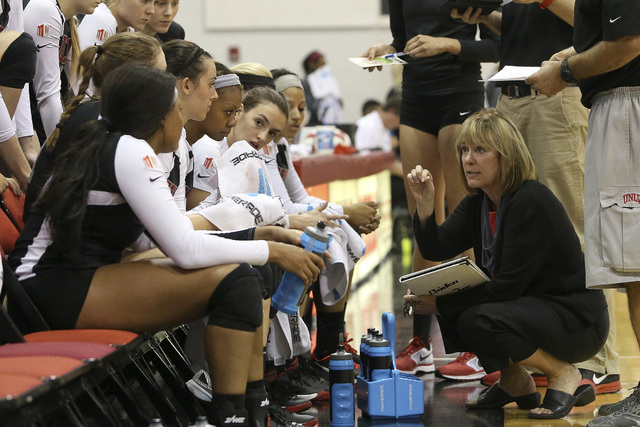 “To me, it’s just verbiage,” Fredrick said of the actions by the Big Ten and Pac-12. “It doesn’t really matter. To me, I think it sounds good. 1. He or she becomes ineligible. 2. The athlete gives false information in an application, letter of intent or financial aid agreement. 3. A serious issue that results in significant discipline of the athlete. 4. The athlete decides to leave the program. 5. He or she violates part of the financial aid agreement or a stated university or program rule or policy. UNLV men’s soccer coach Rich Ryerson said he guarantees a four-year scholarship when recruiting players. Though not all Rebels coaches guarantee four-year scholarships, they also do what they can to keep recruited athletes on campus for that long. 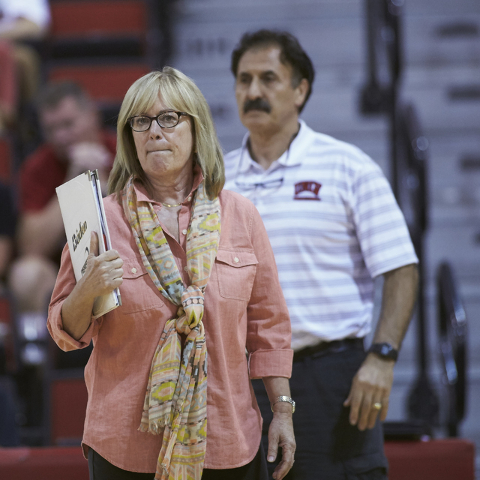 “For someone who leaves women’s basketball, you have to do something that’s really bad,” women’s basketball coach Kathy Olivier said. “Otherwise, we recruited you. We’re going to keep you. We’re going to make sure you get your degree. We look bad if you don’t finish here. Coaches, though, have some gray area as far as releasing players from scholarships. They can drastically reduce playing time or make life unpleasant in other ways to force athletes to look elsewhere without actually taking away the scholarships. This is known colloquially as “running off” a player. “I don’t think any coach in America would ever take a scholarship away from a kid,” football coach Tony Sanchez said. “Those kids have to go out and earn it, too. There are a lot of guys that come in and don’t realize you’re getting a $30,000 free education. Contact Mark Anderson at manderson@reviewjournal.com or 702-387-2914. Follow on Twitter: @markanderson65.